For ages, man has desired to explore the heavenly mysteries. The lure of the galaxy and a fascination for the stars, the sun and the moon has strengthened the desire of man to reach the sky. 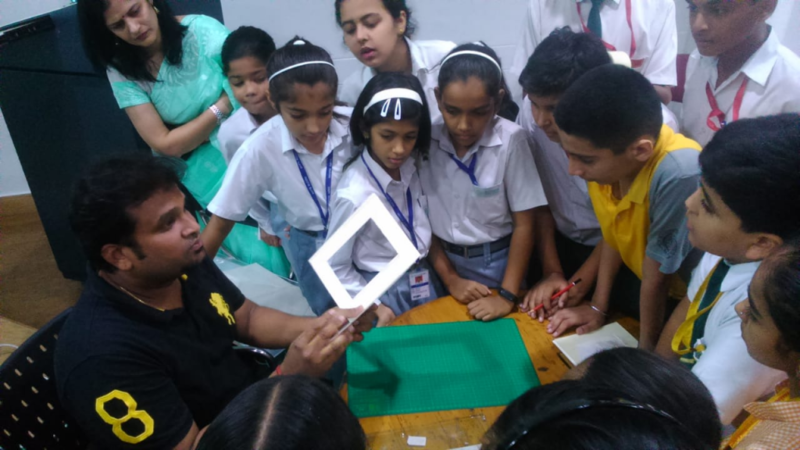 Astronomy Club is an effort to satisfy this curiosity among children. 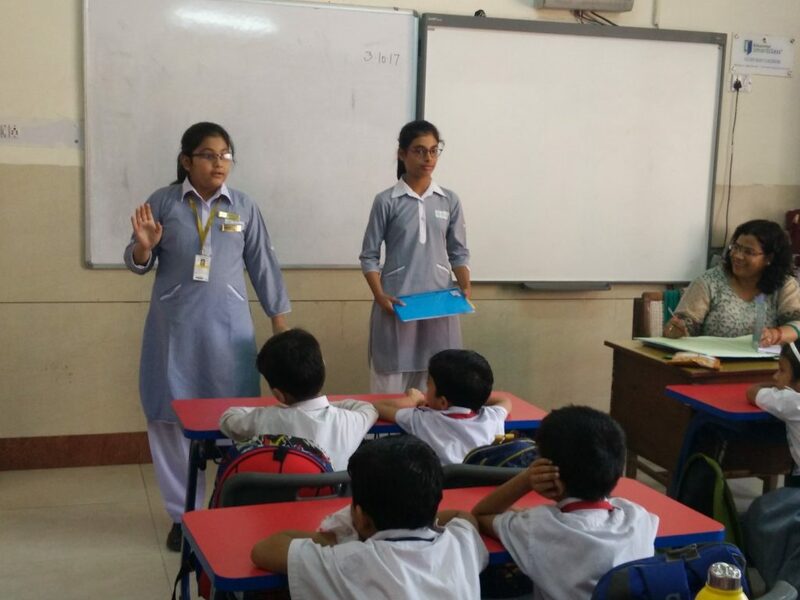 Astronomy Club inculcates life skills through intelligent application of astronomy and space science concepts. It encourages the learning of science, geography, practical application and fun activities. Keeping all this in mind the school in collaboration with S.P.A.C.E (Science Popularization Association of Communications & Educators) was introduced in the year 2004-2005. The main objective of the club is to inculcate scientific temper and a spirit of enquiry among the students and to encourage them to use the knowledge to improve their environment. 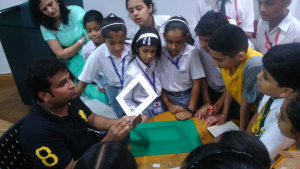 The club activities involve sky observations (evening and overnight session) learning to use equipments like sundial, planisphere, latitude finder, telescope etc interaction with scientists. 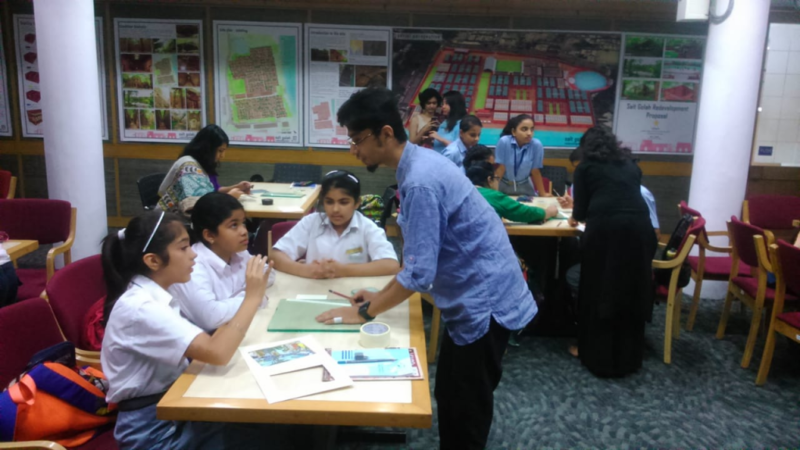 The overnight session of the club fascinates the students a lot. Journey on the Beam of light. The school has been declared as a "No Polythene Zone" under this campaign, volunteers from Eco-Club keep a check on usage of polythene in the school premises. For the success of the campaign, the students and teachers were taught to make paper bags from waste paper as an alternative to polythenes. Student of Standard 8 made Paper, Clothes & Jute Bags and distributed them in busy market places to shopkeepers and buyers in September 2011. A Paper Recycling unit has been started under this club. 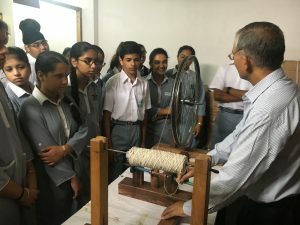 All the used and waste paper generated in the school is utilized for making recycled paper. The paper produced in the unit is used for the preparation of school notice boards and various art activities. Compost pit: A compost pit has been dug in the school premises where the biodegradable waste generated in the school is decomposed to convert it into manure. The manure prepared is used in the school gardens. Say no to Cracker Campaign was launched on 2nd November 2011. The students actively participated in the campaign by carrying out a peace march and distributed diyas and candles telling people to celebrate Diwali in peace and light and not by spreading air and noise pollution. A botanical garden has been created in the school premises to enable students develop a love for nature and strive for its preservation. Plants belonging to various categories like herbal, medicinal, ornamental and wild are being raised in the garden. The botanical garden serves as a source of information regarding Taxonomic position and agronomic importance of the plants raised. 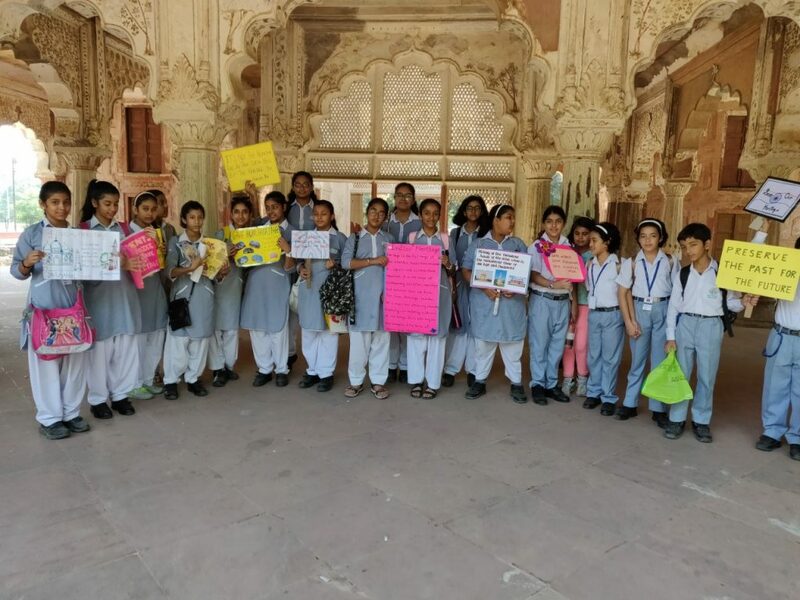 Students are also encouraged for participation in the various activities concerned with preservation of environment including competitions and activities at various levels. 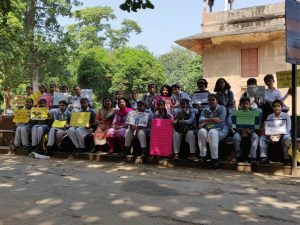 Students actively participated in the "Protection of Ozone Layer Campaign" organised by the Ministry of Environment & Forest Govt of India, under the observation of the International Day for preservation of Ozone Layer. 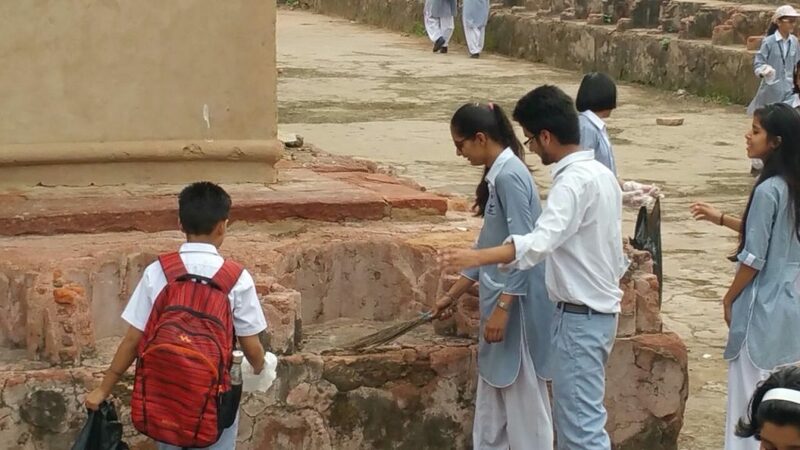 Neighborhood cleanliness drive was organised by the students. 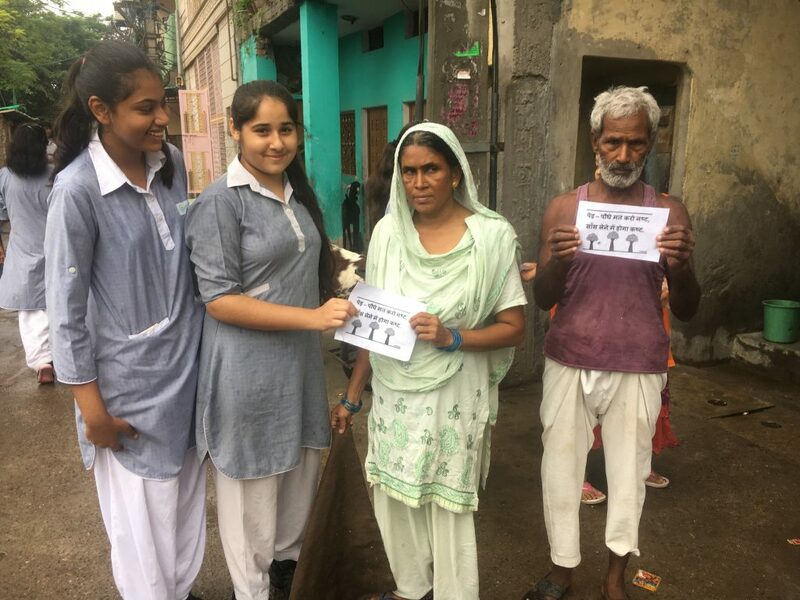 They not only spread awareness amongst masses to keep the surroundings clean and hygienic and save environment but also cleaned the streets and drains. Pamphlets were distributed and dustbins were kept at various strategic places. A Hygiene and sanitation campaign was organised to spread awareness among people to maintain hygiene students distributed hygiene packets to people in Shakur Basti slums. Horticulture: Flower Show-Delhi University:- 54th Annual Flower Show was organized by Delhi University on 1st and 2nd March, 2012. 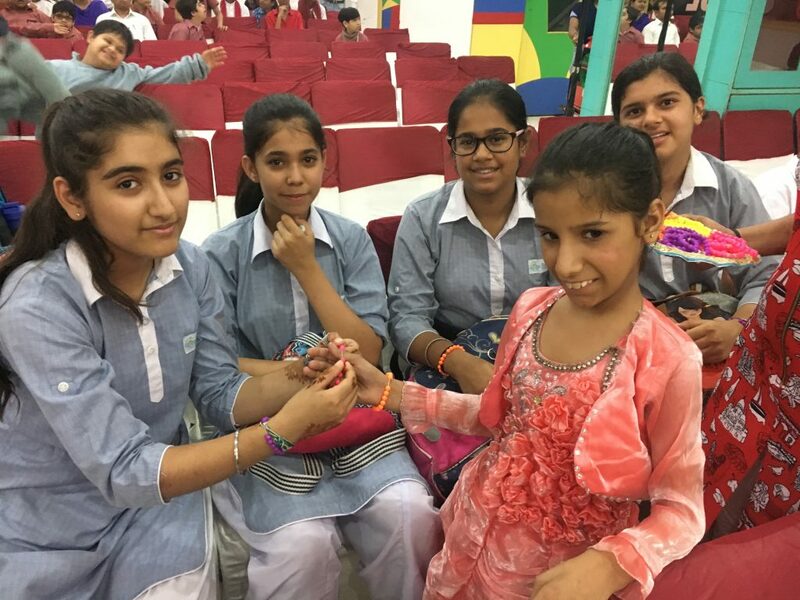 Our School participated in various categories. 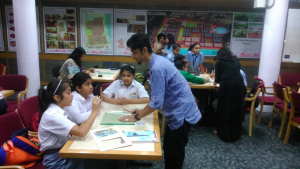 Students of our school also participated in the on the spot Art Competition. A total of 29 individual prizes have been won by our School in different categories. The school lawn has been awarded III prize and the school periphery has been declared the the best Green Area. The students of Eco-club made herbal colours, using natural material like flowers, leaves etc. 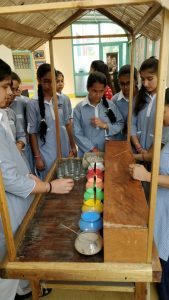 The purpose of the activity was to motivate students to play a safe, eco-friendly, herbal Holi and to spread the idea in the community. Students of Eco-club also enacted skits and plays to generate awareness towards preservation of environment and stopping the use of harmful non-biodegradable chemicals and materials so as to create a better and cleaner atmosphere around us. Bal Bharati Public School, Rohini has become a part of the prestigious Rotary International through the formation of the Interact Club in the school. The school has formed a core committee of the Interact club with the posts of a President, Treasurer, Secretary and Board of Directors. 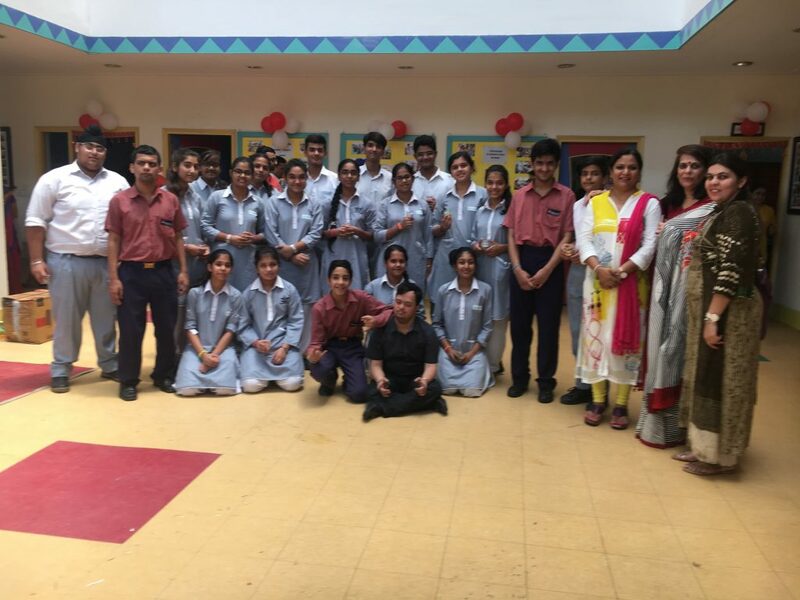 The total number of students from class X and XI which are a part of the club are thirty who would ensure the proper functioning of the club. Various social service projects would be taken up by the club starting from the new session in April such as cleanliness campaign, health and eye checkups, anti-pollution drives and tree plantation drive etc. The students would be made to understand and follow the motto of 'service before self' through the various social service projects. 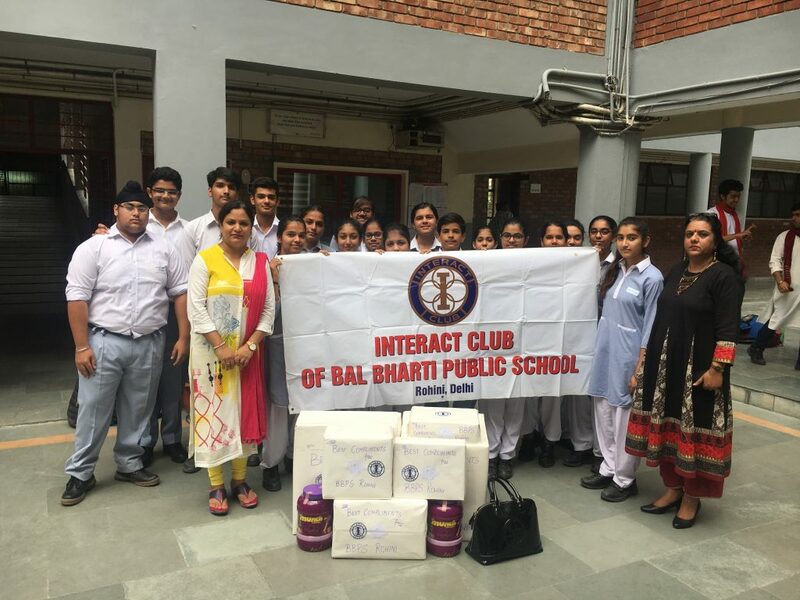 The various projects undertaken by the Interact Club are 'Donate a Book Campaign' in which the students will collect story books, subject books etc for the needy children. Neighbourhood sensitization program. 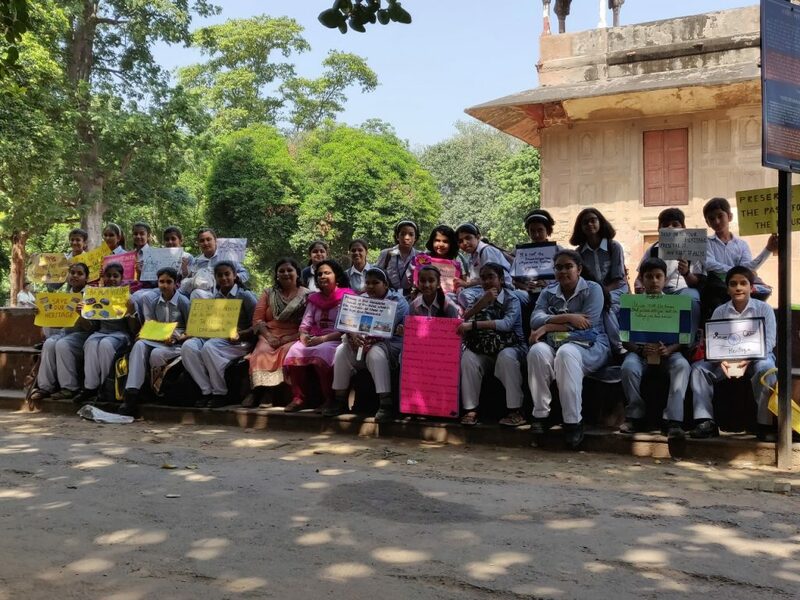 Students from classes VI to VIII visited 25-30 houses in their Neighbourhood. They explained the ways of saving energy to their friends and neighbours. 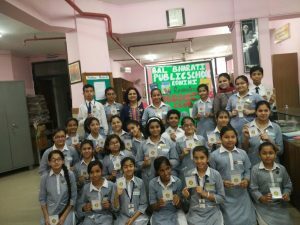 Members of Mini energy club collected photocopies of recent household electricity bills from students of classes VI to VIII and taught the methods to read their electricity bills. Three students of our school Lakshay Pathak, Anshul Dagar and Sahil Jain participated in an E-Quiz program organized by Tata power energy club on 30th November, 2011. 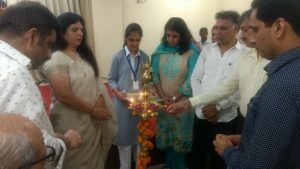 Students were declared second and selected for participation at national level. They also participated at national level in E-Quiz at Bombay on 13th Dec 2011 and did well there. 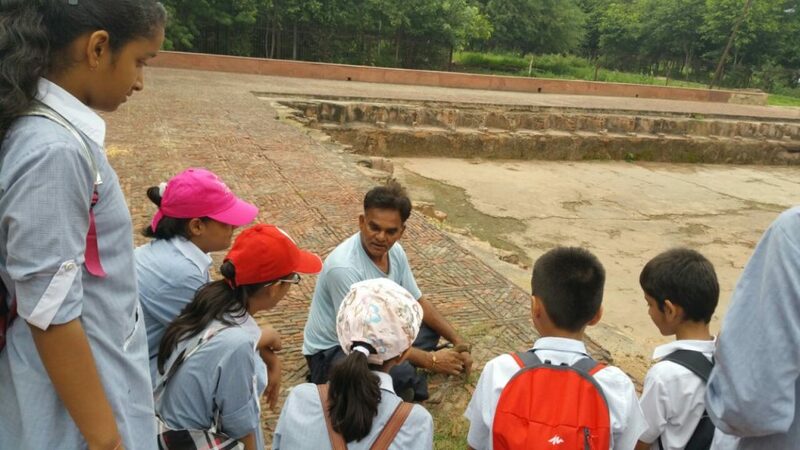 Selected students from classes IV to classes XI have been enrolled for the Adopt the monument drive initiated by the Delhi Heritage Foundation and supported by AS I . The monument adopted by the school is ROSHAN ARA KA MAQBARA . A visit was planned 19th August for the children where they gave their contribution in the cleanliness drive. 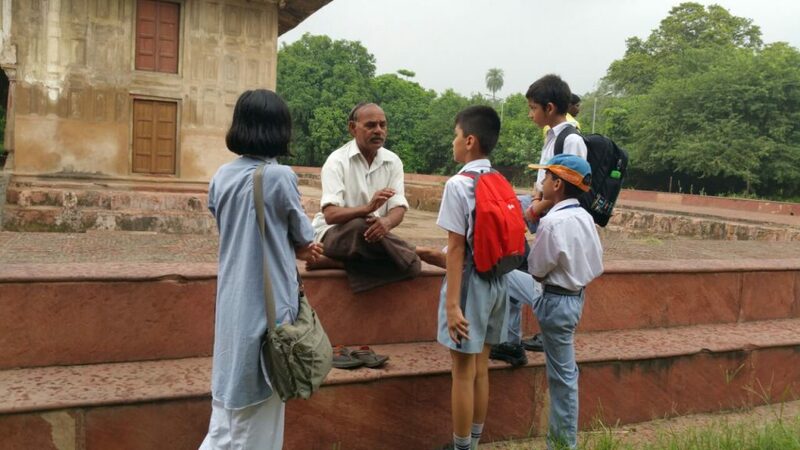 They talked to the locals about the upkeep of the monument and the narrations about the Mughal era ! 3. 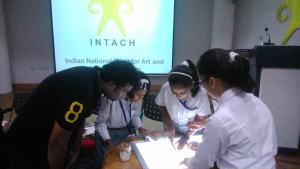 World heritage day organised by INTACH. 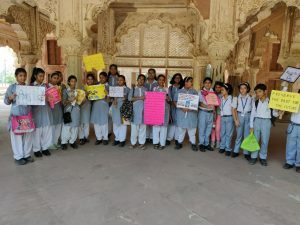 Students had an art competition. 4. 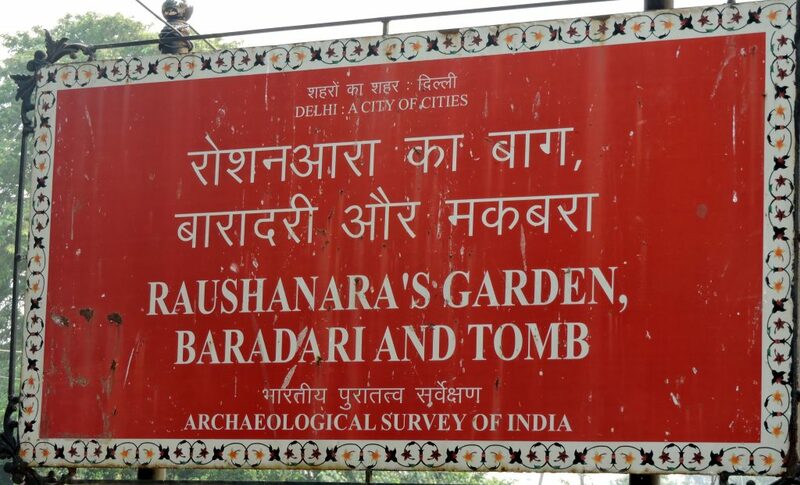 Visit to Roshnara Tomb. 5. A creative workshop for preservation of old documents and painting s etc was conducted by INTACH . The formal induction of the Wordsmiths Club was conducted on 3 November 2017. 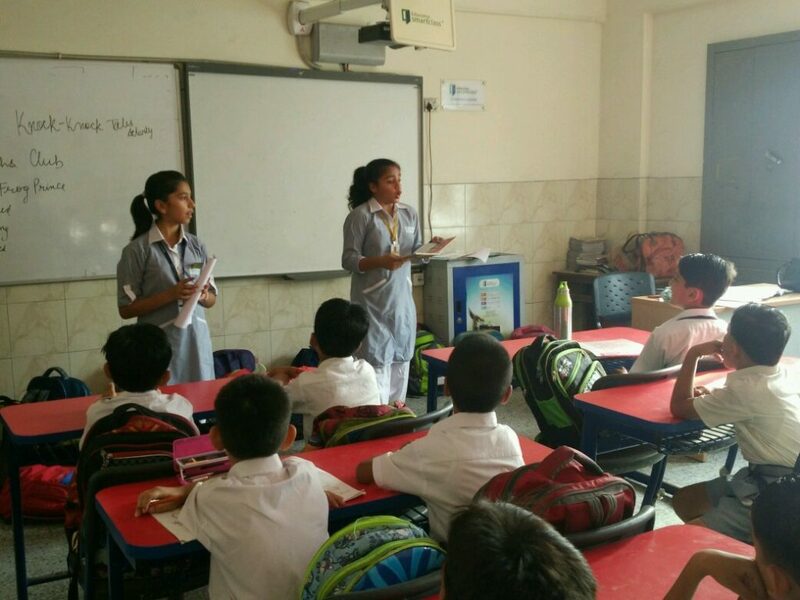 The Club In charges are Ms Purti Khanna and Ms Akhila Arora and it comprises of 40 students of Classes VI-XI. Four rounds of Knock –Knock Tales were conducted by the members in Classes III-V. Apart from reading some vocabulary enrichment activities were also done using flash or cue cards. The young learners were thoroughly engaged in attending to the para readers (club members) during the reading sessions. 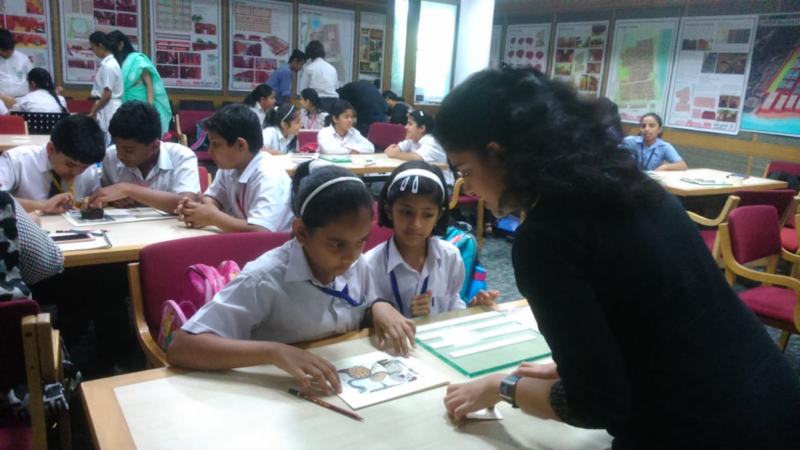 Assessment of the Club members was conducted under the Good Readers’ Scheme. Currently, the club members are engaged in collecting books for donation to NGO Katha as part of the Book Donation Drive .The same will be completed in early December 2017. The Induction Ceremony of the Interact Club of BBPS, Rohini was organized on 25th August 2017 in the school premises.The pragramme began with the meeting called to order by outgoing President of the clun, Manushreya Sharma and the lighting of the lamp by Principal, Ms. Geeta Gangwani,Inetract Incharge tecahrs Ms.Smita Sharma Dabas and Monica Narang along with the members of Rotary Club of Delhi, Rohini. More than 56 students were given the Interact member badges by the President, Rotary Club Of Delhi, Rohini Mr Gautam Budhiraja and other guests. 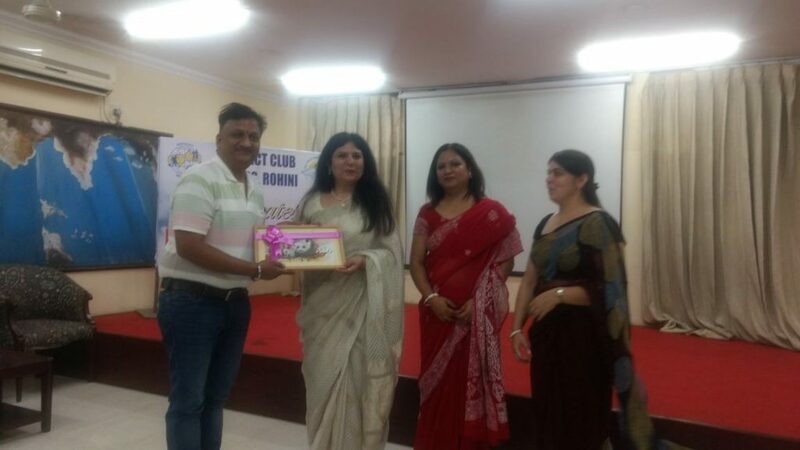 Sejal Gupta of Class XI was installed as the Interact Club President who gave a heartwarming speech and promised to work during her membership year in complete sincerity and zeal.A dance performance “Ganesh Stuti’ enthralled the audience. Rtn Gagan Bains inspired the freshly elected Interactors with his words of wisdom. A tree plantation Drive was initiated by the Interact Club members under the guidance of Rotary Club of Delhi, Rohini in a public park in Sultanpuri on 19th August 2017. 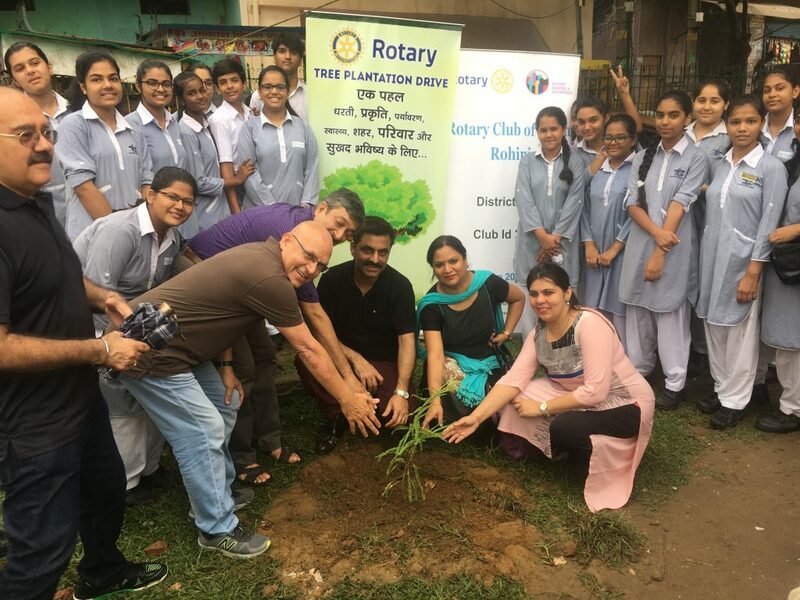 This public park will be called the Rotary Interact Park as it will be maintained by the Interact and Rotary Club of Delhi, Rohini. 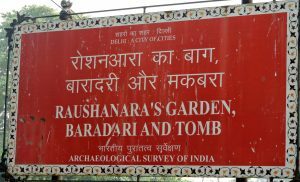 About 100 saplings were planted in the presence of the residents of the area who promised to do their bit in the maintainence of the park. 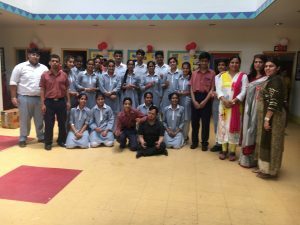 Twenty students of the Interact Club of Bal Bharati Public School, Rohini with their teacher incharges Smita Sharma Dabas and Monica Narang had a fortunate chance to celebrate Rakhi and Friendship Day with the special children from the NGO Sparsh on 5th August 2017.The children donated chips , Frootis, chocolates and tied friendship bands to these newly made special friends.The children learnt the value of giving and sharing by hands on experience with these little kids.They learnt how to make gel candles, handloom work etcwhile they spent quality time with them.The teacher incharge Smita Sharma Dabas presented the vote of thanks after witnessing a wonderful programme presented by these children. 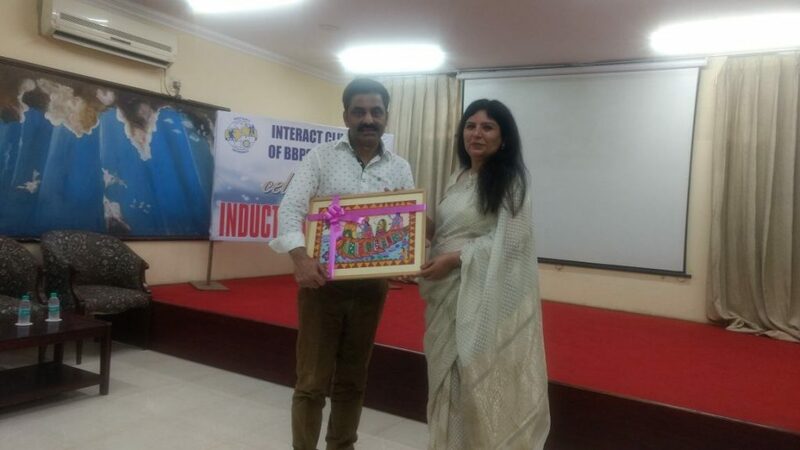 They all appreciated the efforts of the the Director, Ms Sapna Sukul and the special projects Udaan and Shakti.